I'm sure you all read in my previous review that I was recently contacted by First Light about trying some of their products. I have split the review up into three parts so as not to make it too long. You can check out the review I did on the Mineral Blushes here. 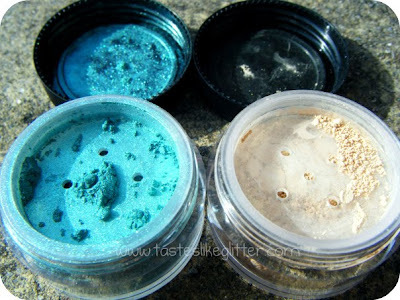 Our 100% mineral shadows are fresh, fun and very dynamic! Use them as all over shadows or as highlighters on brows or cheeks. 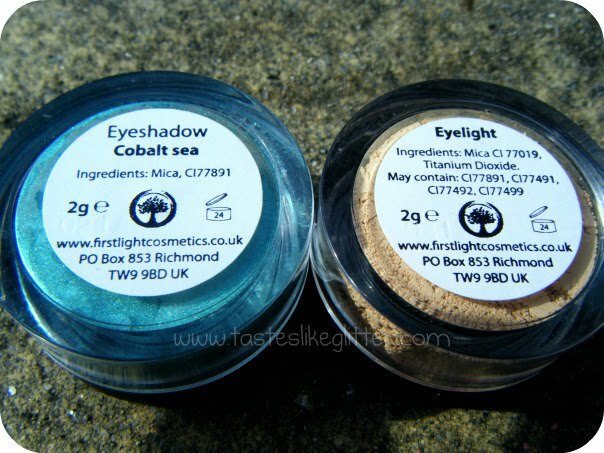 Blend colours together to create your own unique style or mix with water to use as eyeliner. 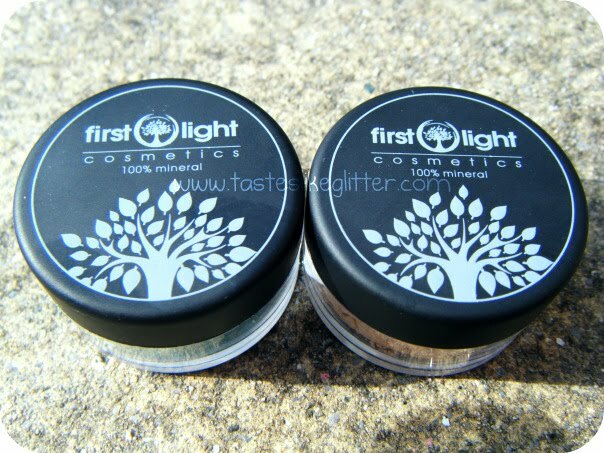 First Light eye shadows come in 2 formulations; our creamy “soft sheen” gives a rich and smooth finish, whilst our “glimmer” formula provides a high intensity sheen and the wow factor! Colbat Sea is described on the site as a bright shimmering blue/green turquoise. I think that describes the colour perfectly. It's very 'colour shifting'. It looks more blue in these photos but when you team it with other green shadows, like I did in this FOTD, it appears more green. 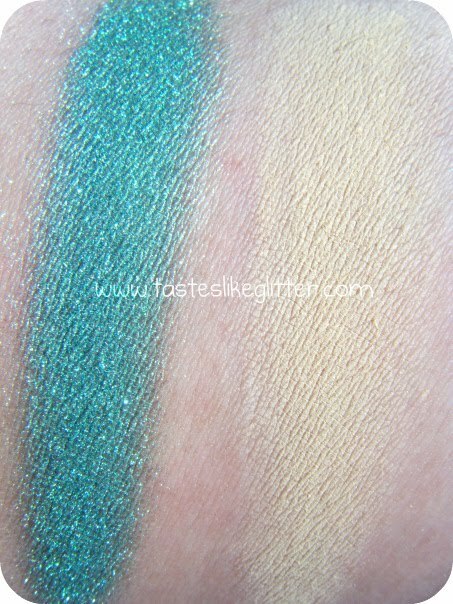 When first swatched or applied to the lid it can appear very sheer but you can build up the intensity. It's quite shimmery but not overly glittery. It gives the shadow a frost like finish. I haven't tried foiling this yet as I haven't quite mastered the technique but when I do, I shall report back with how well that works. This is a colour I actually really like and I'm glad I have it in my collection. At the moment I am undecided on this and I've tried it a few times. I first tried applying it over Urban Decay's Primer Potion. Off I went to work and not more then an hour later I had serious creasing. Now this never happens when I use UDPP. So putting it over the top didn't work. I don't find it much makes much of a difference under primer either. I need to try this some other ways. Under foundation/concealer. Anyone got any tips? Don't forget, all you lovely readers can have a 15% off discount code. The code is valid until the 8th of April. You just need to enter First1019 when checking out and your 15% will be deducted from your total price (not including P&P).